in case that the inverted version of a signal is required the trigger modifier a-165 may be used. an internal jumper is used to define if the start output generates only a short pulse as soon as a midi start message is received or if it remains in the high state until a midi stop signal is received. 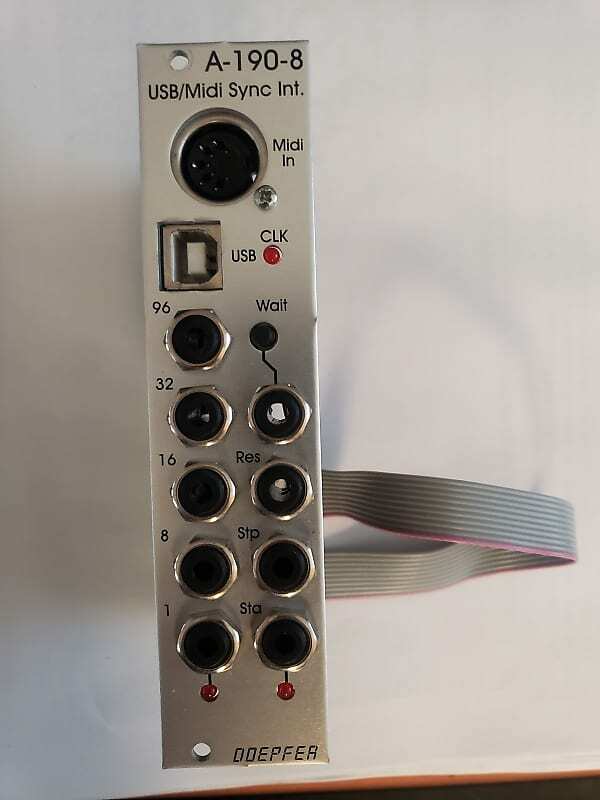 to control the sequencer modules a-155 or a-154 both versions will work because only the rising edge of the start signal is used. to control din sync equipment the "long" version of the start signal has to be chosen (i.e. the signal remains high until a stop is recognized) and the output voltage has to be set to +5v ! the +12v setting may destroy units equipped with sync din sockets ! for this application a special cable with two 3.5 mm jack plugs on one side and a din5 male connector on the other side has to be made.